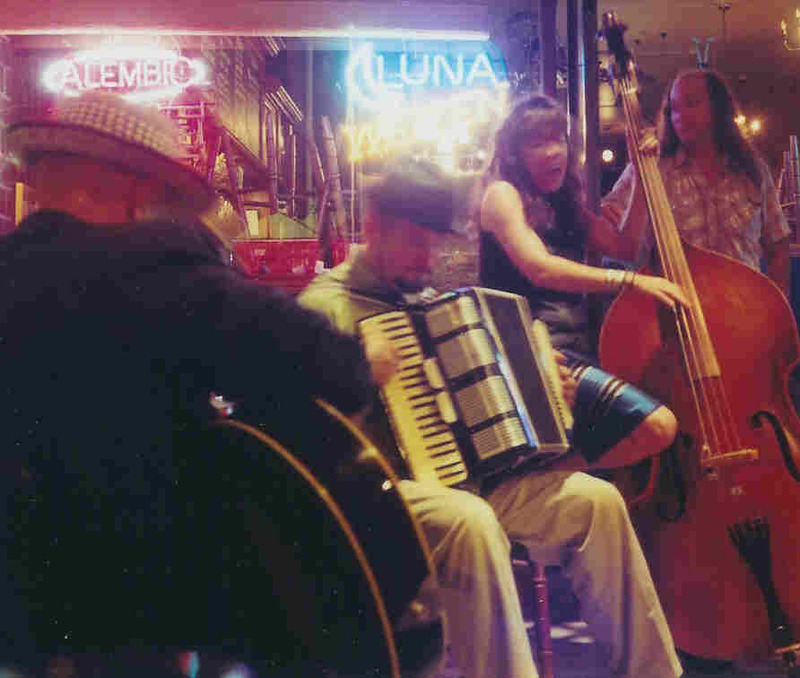 Zazou is a sextet featuring accordion, lead and harmony vocals, string bass, rhythm and lead guitars and percussion. With a repertoire, including original material, inspired by the sophisticated melodies of French Jazz Manouche, Parisian Musette, Latin American popular songs and American Swing Jazz, Zazou draws together a multitude of musical influences and incorporates a driving European "string swing" rhythm to pay homage to the music of the past while creating an original sound that is contemporary and exciting. 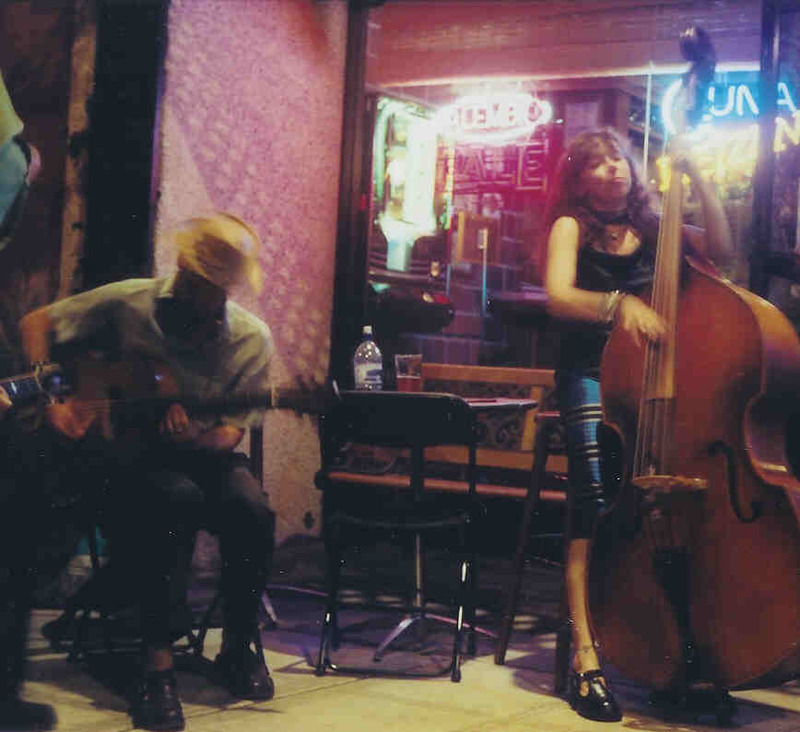 In addition to their diverse musical repertoire, Zazou also puts on a entertaining show that encourages audience participation through humor, magic and playful stage banter. Zazou is a popular Seattle-based group performing numerous venues such as The Pink Door, The Century Ballroom, The Tractor Tavern, Misto, The Sit 'n Spin, The Venus Cafe's Mars Bar, Bizzarro, The Hop Vine, St. Clouds, Conor Byrne Pub, The Experience Music Project's Liquid Lounge and more. Zazou has also made appearances outside of the Seattle area at such venues as Mississippi Pizza, Duff's Garage, St. John's Pub, The Rabbit Hole Lounge (Portland, OR), The Public House (Port Townsend, WA), The Drift Inn (Yachats, OR), Muddy Waters (Arcata, CA), Sam Bonds (Eugene, OR) and The Make Out Room (San Francisco, CA). Zazou has performed at a variety of festivals and events around the Northwest including Seattle's Folklife Festival, The illustrious and wonderful Djangofest NW, several Seattle Art Museum Exhibit openings, the French-American Chamber of Commerce Beaujolais Nouveau celebration, Caniveaux's Moisture Festival, Columbia City's Beatwalk, The Bastille Day celebration at Seattle Center, The Shoreline Art Festival, The Fremont Solstice Fair, Dusty String's Annual Open House and Concert, Microsoft's "Cirque Funtasique" and oh so much more. 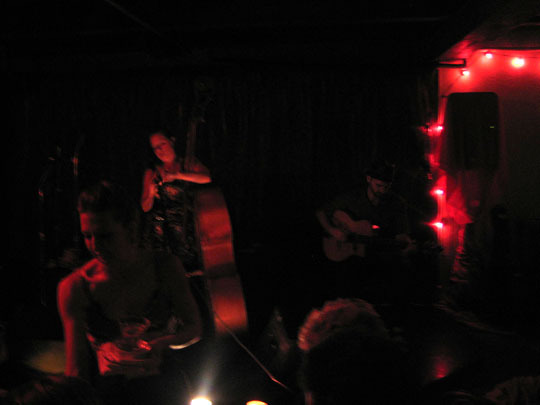 Zazou also performs private events throughout the West Coast. 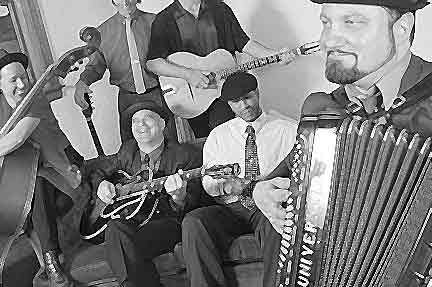 In addition to performing live, Zazou has also appeared on KBCS' The Old Country radio show and Sandy Bradley's Potluck Annual Holiday Reunion . Looking to liven up your special shin-dig, festivize your holiday celebrations? Would you like to be the first on the block with a live swing band playing in your living room? Do you visualize your wedding guests swing dancing the evening away? Zazou plays private events of all shapes and sizes. If indeed you are thinking about hiring Zazou to provide the music and entertainment at your wedding reception, you may like to consider the Complete Zazou Wedding Package. In addition to the afore mentioned Zazou musical services at your reception, Ms. Jessica of Zazou is an ordained reverend of the non-denominational Universal Life Church and can legally perform and officiate your non-denominational wedding in the state of Washington. 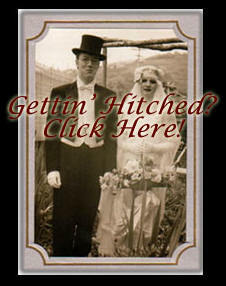 To read more about having Zazou play at your wedding, please click on "Gettin' Hitched" and you're on your way!